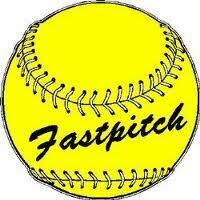 High School Softball Season: First Scrimmage Today! Today my daughter Tory’s high school softball season begins with the first of 7 scheduled scrimmages against local teams. Tory throws out her first pitch of what we hope is a long and successful season today at 4 p.m. I will drag a cooler full of cold water to the dugout a little early then climb into the stands to cheer for the team and Tory. My girl is ready for the high school season to begin; Tory will be the starting varsity pitcher this year. The team graduated a number of key players last year so it could be a bit rocky around our home field until the newbies find their proper throwing and fielding arms, never mind pulling out their bats and hitting the ball. And I heard a number of the starting varsity players are injured. This is what Tory swings. That said, the young women have 7 scheduled scrimmages to get their game faces adjusted. And they are young, their second-year coach is young and spring is in the air. . .everything is possible.